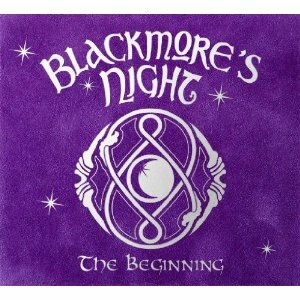 Blackmore’s Night – The Beginning“ is a documentation about the early period of a musical legend. In the lavish velvet-box you will find the first two Blackmore‘s Night albums “Shadow Of The Moon“ and “Under A Violet Moon“ as well as rare video footage of their early tours “Live In Germany 1997-1998“ and “Under A Violet Moon - Castle Tour 2000“. Available for the first time on DVD and only in the “The Beginning“ box. The footage from various concerts from the “Shadow Of The Moon“ and “Under A Violet Moon“ tours is enriched by interviews with Ritchie Blackmore and Candice Night, as well as backstage footage, rehearsal footage and medieval fight shows. “We live the music“, says Ritchie Blackmore, confirming the impression that this documentation gives every second - Blackmore‘s Night is authentic. The enthusiasm of the musicians captivates the audience and takes them along on a journey through the past. Some of the DVD tracks go from the living room rehearsals to the stage and are impressive proof that the compositions function wonderfully as intimate acoustic versions, as well as with the full band on the big stage. Blackmore‘s Night “The Beginning“ is a very special release, not only for fans and collectors, for nostalgic or the medieval curious, but for any lover of beautiful timeless music. This extraordinary box provides the owner not only two DVDs with a delightful, interesting and entertaining performances plus two original studio albums of fantastic music, but rather with it is a ticket out of the dreary day to day life, a way to leave everything behind, to relax the soul for a few hours.